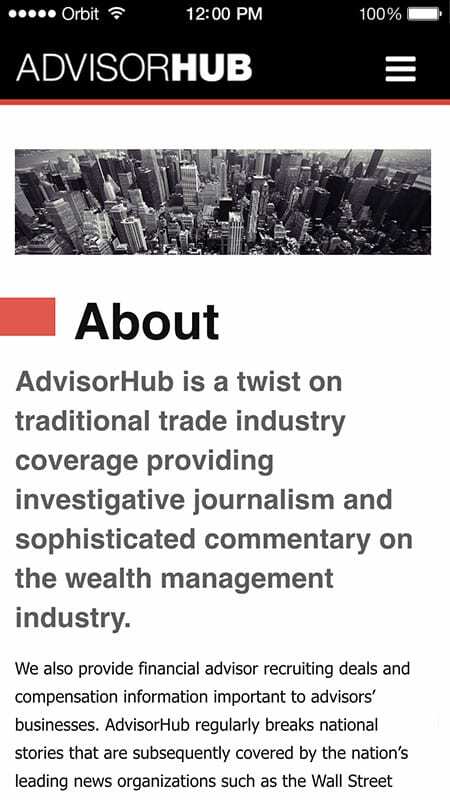 AdvisorHub is a twist on traditional trade industry coverage providing investigative journalism and sophisticated commentary on the wealth management industry. 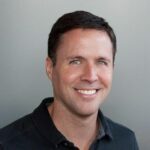 Orbit Media worked with AdvisorHub to create a sophisticated, easy-to-navigate site that appeals to readers and generates the potential for advertising revenue so that AdvisorHub can continue their nationally-recognized brand of journalism. 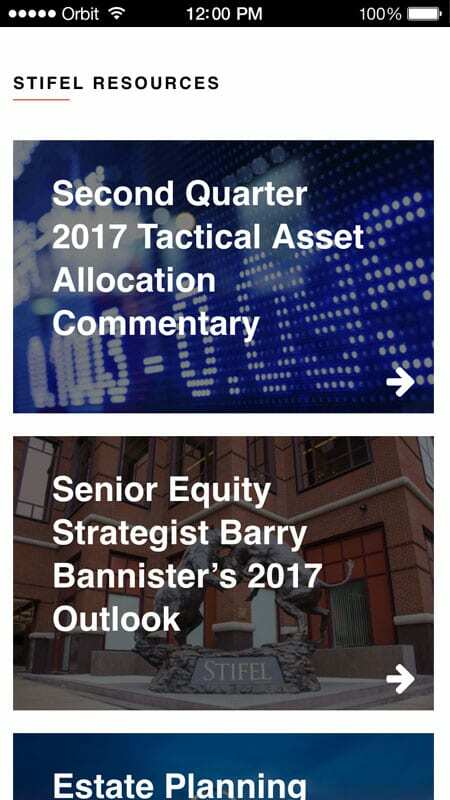 Keeping up with all the news in the Wealth Management industry in no easy task. 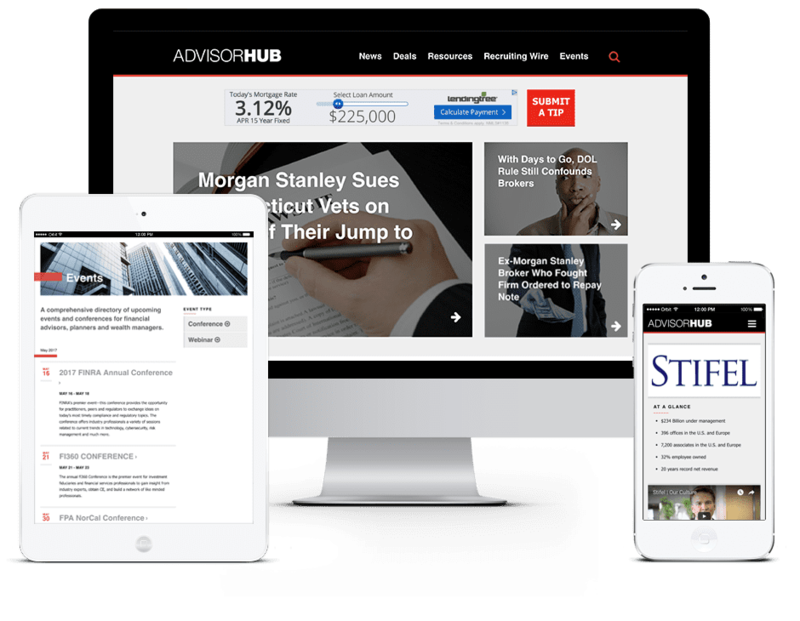 The team AdvisorHub needed an easily updated website to actively manage their constantly updating news section and industry pages. 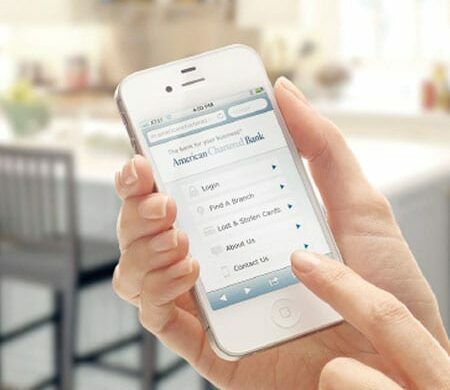 How can we possibly showcase all the recruiting changes in the wealth management sector? 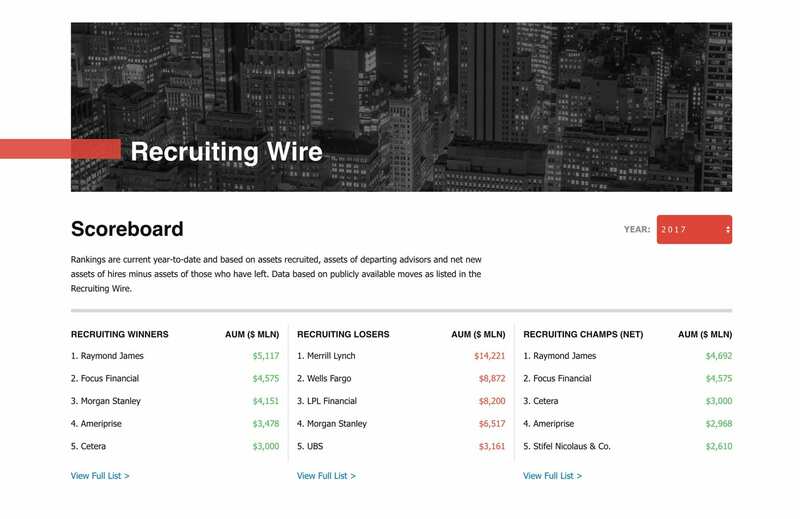 The Recruiting Wire Scoreboard. 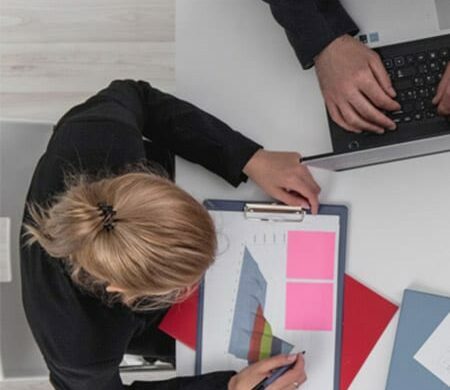 The Recruiting Wire is a custom feature Orbit built that enables the used to view all the personnel changes in the wealth management sector by name, old firm, new firm, location or change in assets.